An obelisk commemorates the site of Major Mitchell's camp in 1836. The cairn was unveiled during the centenary celebrations. In order that the Centenary of Dartmoor may be fittingly observed, the residents have arranged appropriate celebrations. 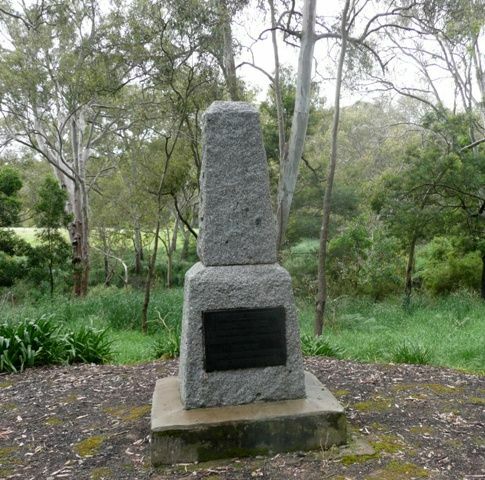 An obelisk has been erected near the site of Major Mitchell's camp of August 17th, 1836, and arrangements have been made for Sir James Barrett to perform the unveiling ceremony on December 19th, at 2 p.m.
Portland Guardian (Vic. ), 21 September 1936.